It’s been 111 years since the publication of The Jungle, Upton Sinclair’s groundbreaking book on the cattle industry. Though improvements in animal welfare have been made since then, the industry has evolved to include issues Sinclair could never have foreseen. In What’s the Matter with Meat, Katy Keiffer leads readers though a crash course on how this powerful multinational business has been in a position to generate one of these bountiful supply of absurdly cheap animal proteins. What’s the Matter with Meat? explores the whole thing from labor issues to genetic manipulation to animal welfare to environmental degradation, illustrating just how the industrial model for meat production conjures up huge quantities of cheap meat while it shifts a number of the real costs onto the taxpayer. She describes practices few of us know about, such as land grabs in which predator companies acquire property in foreign countries for meat production, steadily driving out local farmers. She shows how industry consolidation entrenches cost-effective but harmful practices, creating monopolies that force competitors into chapter 11, drive down labor costs, erode workers’ rights, and exert atypical power over nearby communities. Keiffer demonstrates with irrefutable force that the current model for meat production—adopted all over the world—is simply not sustainable and will soon exhaust the planet’s resources. 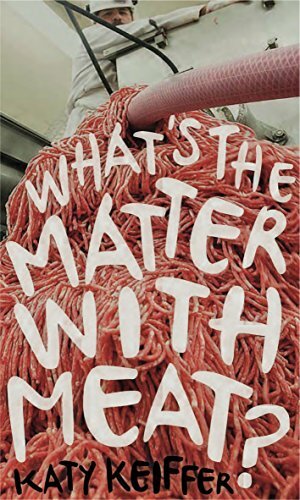 A hard-hitting critique of the meat industry and its harmful effects, this book shows us just how important it is to care about where our food comes from, to make stronger alternative production systems, and to stop those practices that are ruining our planet in the service of the burger and the nugget.